This is the third in a series exploring the topics covered in the book You Are Not Your Pain [Amazon affiliate link]. See You Are Not Your Pain: An Introduction to learn more. Pain has two components, the physical sensation and our emotional reaction to the physical sensation. We cannot control primary suffering—which is the pain itself—but we can control secondary suffering through our reaction to the pain. I used to believe this distinction was immaterial, but I’ve come to believe it is possibly the most effective coping strategy for to help me deal with all manner of adversity. I use it in every aspect of my life. Kerrie Smyres: How do the principles of “You Are Not Your Pain” apply to someone who has pain as one component of a chronic illness with other symptoms that can be just as, or even more, debilitating? This response means that you are kind of pushing it away and when you push it away you make it worse. In the book we make a distinction between ‘Primary and Secondary Suffering’ to describe his. Primary suffering is the unpleasant sensations in your body, heart or mind that have already arisen. We call this a ‘given’ in this moment. But if you automatically push it away you then get lots of other suffering—and we say that this suffering is optional and that is the secondary suffering. To summarise: the primary suffering is anything that is unpleasant in your experience; it doesn’t matter whether that is pain, illness or a painful mental state. All the approaches in my book will teach you how to accept the primary suffering and reduce/overcome the secondary. This means your overall suffering will reduce—sometimes dramatically. KS: Primary suffering can seem so overwhelming that secondary suffering feels inevitable and unavoidable. What advice would you give someone struggling to separate secondary suffering from primary suffering? VB: It is difficult, as pain can feel incredibly solid. We can feel as if we are solid and the pain that is the enemy is also solid and there is very little room for separation within this solidity. But the deeper awareness that comes from mindfulness is that life is like a river, it’s not solid at all. It is a flow of thoughts, emotions and feelings arising all the time. So, what we are doing is learning is to rest our awareness within the flow of the river of life—we are learning to work with this fluid experience as it comes into being and passes away moment by moment. One of the models that I use to help people struggling to separate secondary suffering from primary is blocking and drowning. When we look at discomfort the first thing we do is resist it, so first of all is the ‘I don’t want this’ response then that bifurcates into two different reactions: one is where we harden against the experience, perhaps tuning out or becoming quite blank and at the same time the body becomes quite hard because of tension, the mind is rigid, and we get emotionally numb; this is what we call the blocking response. The drowning response is the opposite. We feel overwhelmed, where there is nothing else other than this pain. You are just completely overwhelmed, you feel ‘Oh my god, this is just far too much.’ Part of the skill is to understand which of the two things you are doing, because most of us either do one or the other. If you find that you are blocking, numb, a bit stuck, rigid, bored—often boredom comes with blocking—then the art, or the skill, is to come a little closer to what is actually happening – what are the sensations in my body? What am I thinking? How is my heart feeling? Then come a little closer. But if you are in overwhelm, then you need to broaden and become aware of other things as well. If you are overwhelmed by pain, or discomfort and there is nothing else in the universe other than this stress in my heart, or this pain in my head, or whatever it may be then the task is to notice other things around you. You can look in your body for pleasant sensations, in the moment there is always something pleasant, so what is pleasant? It might be warm hands, well I notice right now that the sensation of the hair on my forehead is actually quite pleasant, it might be something as simple as that. It’s like you pull back a wide angle lens on a camera. How many other things can you feel? You can feel your bum on the seat, your feet on the floor and hair on the forehead, cardigan on the skin, warm hands, breath in the belly, soft face, eye lids touching—that is often very pleasant! So you learn to ‘calibrate’ blocking and drowning tendencies with awareness. You are playing around with going closer, pulling back, then going closer and pulling back. Eventually we arrive at a place of beautiful equanimity where the pain is there but we are not overwhelmed nor are we blocking—for most of us it’s a dance and dancing between those two movements of pulling away and broadening is very interesting, it can become so fascinating. This is the second in a series exploring the topics covered in the book You Are Not Your Pain [Amazon affiliate link]. See You Are Not Your Pain: An Introduction to learn more. When I was my sickest, I went to bed most nights wondering how I would get through the next day. When she was in the hospital 30 years ago and in severe pain, Vidyamala Burch did not think she would be able to make it through the night. Then she had a thought that got her through the night and started her journey with mindfulness. Vidyamala describes that moment in the book. In my first reading, it struck me as almost magical and immediately life-changing. But that’s rarely how these things work. I asked Vidyamala to describe what it was like for her. Where did you go from your realisation in the hospital that you didn’t have to get through the night, only the moment? Was there an instant change in your life or was it more gradual? When I talk now about the realisation that I had in the hospital thirty years ago as a young woman –when I was lying there, in terrible pain and on the edge of despair, I truly believed that I wouldn’t be able to make it through the night. Then I had an insight; a voice came to me that said: ‘You don’t have to get through to the morning, you just have to get through this moment’ and this was the very beginning of my journey with mindfulness. When I speak about that night with the benefit of thirty years of hindsight, it can sound as though it was a neat, clear understanding at the time. But it wasn’t at all. All I knew was that my life had profoundly changed and I had a very strong intuition to follow that insight and to go on to explore the deeper meaning of it. At that time I had no idea where the ‘voice’ had come from. Now I think it was my deeper wisdom, something we all have in us and that reveals itself in different ways. I always say that if I was a Christian I would have said it was God, but I don’t believe in God, so I understand it as perhaps some part of my consciousness that was wiser than the part of me that was suffering. In a way I don’t think it matters where the voice came from but it was a very strong voice and when I woke that next morning, I intuitively knew that my life had completely changed. I didn’t know anything beyond that – I was still extremely confused and extremely vulnerable. The insight that I talk about today has taken me years and years of evolving in my mindfulness practice and as a person, to make sense of it and to process. I am still to this day continuing to try TO work on it, develop it and make the best sense that I can of it. I was both eager and skeptical to read the book You Are Not Your Pain [Amazon affiliate link], which I received a free copy of for review. The book is a self-guided, pain-focused mindfulness-based stress reduction course that includes audio tracks of guided meditations. I was excited to read the book because I’ve been searching for an inexpensive DIY guide to MBSR to recommend to readers since I took an in-person course in 2008. None of the options quite fit. Until I found You Are Not Your Pain. Even though authors Vidyamala Burch and Danny Penman have chronic pain themselves, I was skeptical that they had the authority to really understand what it’s like to live with pain. I’m not proud to say I questioned their credibility, but I did. Reading their stories made it seem almost too easy. Like their symptoms were mild and non-disruptive to begin with, so applying mindfulness was no trouble for them. I was wrong. My misperception was a result of the authors distilling their stories so they wouldn’t overshadow the book’s content. After all, this is a guide to mindfulness, not a memoir. This Moment: When I was my sickest, I would go to bed wondering how I would get through each day. Similarly, Vidyamala did not think she would be able to make it through the night when she was in the hospital with severe pain. She describes the thought that got her through that night and subsequent nights. And started her journey with mindfulness. Primary and Secondary Suffering: A central concept of the book is that pain has two components, the physical sensation and our emotional reaction to the physical sensation. We cannot control the pain, but we can control our reaction to the pain. Before I grasped this concept, it seemed like a minor distinction that wouldn’t do much good. Now it is an essential part of my coping strategy—it’s quite possibly the one I use the most in all areas of my life. Mindfulness Practice: Overcoming Discouragement: “This can’t possibly work for someone who is as sick as I am,” I thought as I gave up on my first MBSR homework three minutes into the meditation. Eight years later, the visceral memory of that first meditation is so strong that I asked Vidyamala about it. The experience was familiar to her, too. 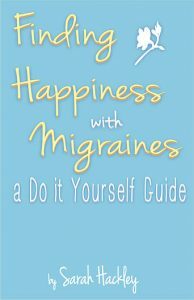 Mindfulness for Non-Pain Symptoms: The book is focused on pain, but the principles can apply to other symptoms (and, really, to life well beyond illness). Vidyamala explains how she uses mindfulness to manage fatigue. Beyond Mindfulness: Mindfulness-based stress reduction is a secular approach that applies the Buddhist principle of mindfulness to pain, illness, and stress. The more I learned about mindfulness, the more curious I became about Buddhism. It turns out many Buddhist practices can help with managing pain and illness (and aren’t inherently religious). Vidyamala talks about the ones that she employs regularly. TL;DR: Read You Are Not Your Pain if you’re looking for a way to cope with any illness that causes frequent or chronic pain. Commit to doing the guided audio exercises 20 minutes a day for eight weeks for an inexpensive DIY mindfulness-based stress reduction course.